I like photograph spider web , but this ones is amazing beautiful. Thank you! I remember you had posted photos of spider webs on your site also. 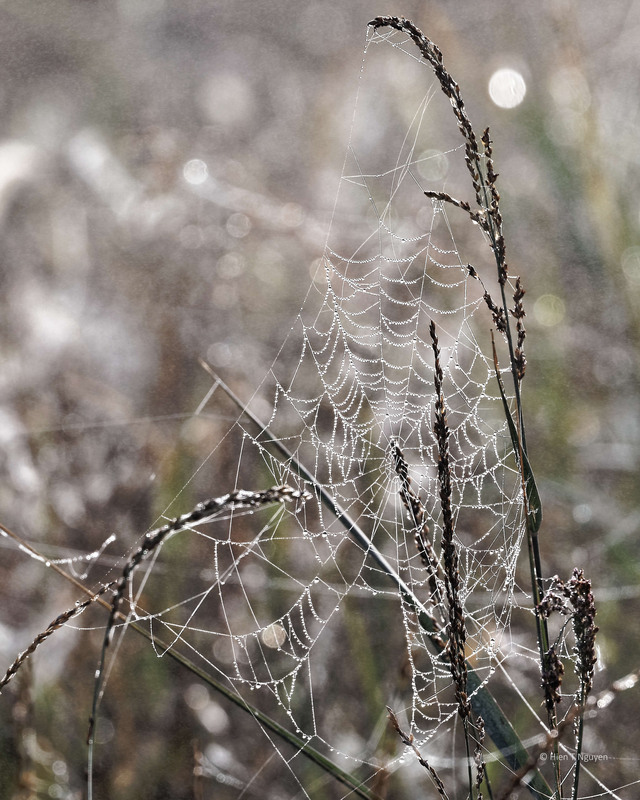 Excellent photos, there are few things that show the delicate beauty of things in nature like a dew covered spider web! Extraordinary photos. Such delicate masterpieces. Thank you Sue! They are very delicate indeed. Just touching them can lead to their demise. The last one looks like a crown. Webs can be beautiful. 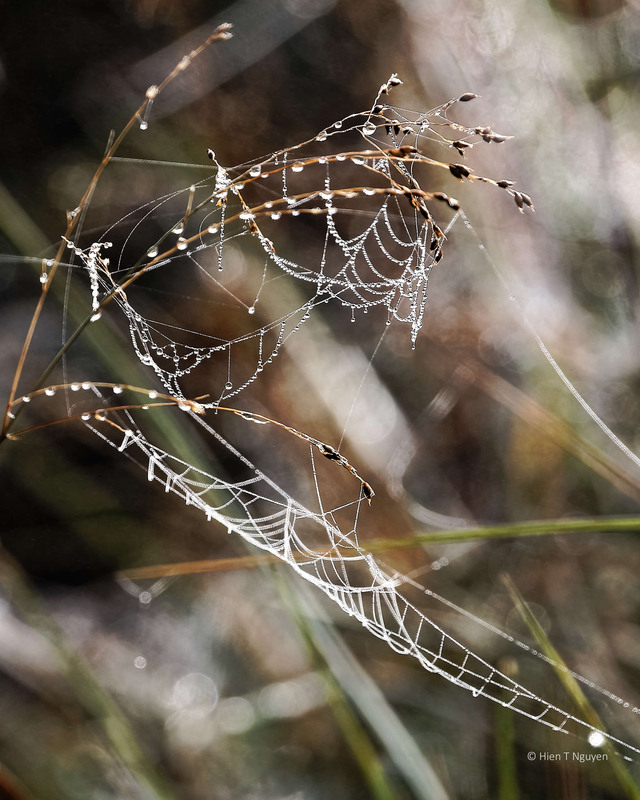 Some spiders are true artists and can create beautifully designed webs. thank you for no spiders, Hien! Ha, ha! You are welcome Lois. Thank you for the information, with facts that I was unaware of! Beautiful, Hien. Any special trick to take these photos? Helen, focusing on the web would be the only issue, and a tripod would be a great help! Yes, if only they were!